Creativity is a process. It has always been part of my life, and recently I realised something really special. It is not the item you create that matters but the process of creating it. With Christmas fast approaching I am reminded of my childhood. Until I was about seven I had a lisp. When I was asked what I wanted for Christmas I answered – bits and pieces (with the signature lisp of course). What I meant was things to create with. Every Christmas I remember included something creative. Spirographs, dress up doll designer sets, fuzzy felt, paints, paper and of course glitter and glue. As an adult creativity continues to be a huge part of my life. I am truly in my happy place when I have a paintbrush in my hand. I have a jar of paintbrushes on my kitchen windowsill permanently. Although I have my creative loves, I continue to explore new avenues as they appear on my horizon. 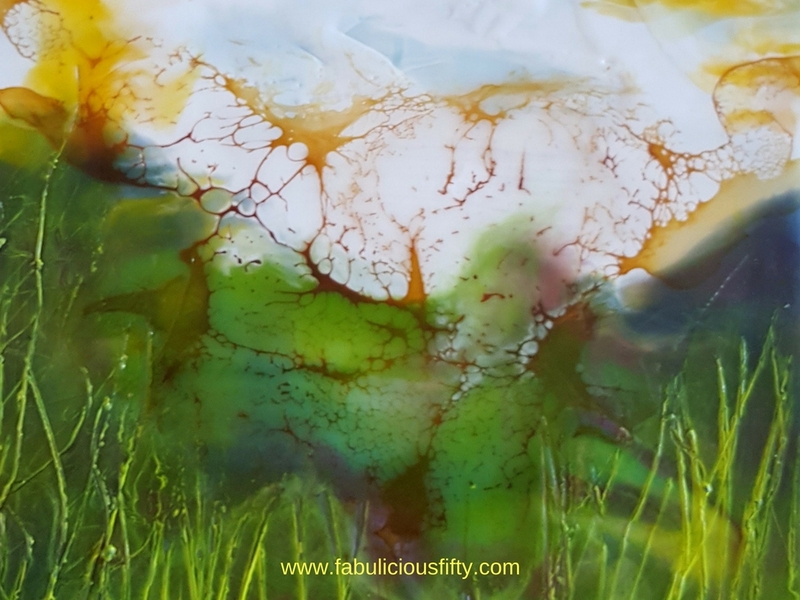 I recently started encaustic art, the practice of using was and resin to create images. It is a new addiction and I look forward to the one Saturday a month where I drive the most beautiful country from County Galway to the banks of Lough Derg in County Clare. I take time out in the studio of the talented Isabelle Gaborit . Anyone who knows me knows that I am talkative. When I am in my creative zone I am quiet. I have thought a lot about the creative process. We spend so much of our lives giving – pouring out support to family and friends, ensuring that there is money to pay the bills and more. What we need to do is to fill our own cup and the best way to do this is by getting into a state of flow. When we are in a state of flow that we fill up and replenish the energy we need for day-to-day life. And, it doesn’t have to be art. It could be cooking, gardening, embroidery (like my talented Mum), it doesn’t really matter what you do, the important thing is that for some time every week you are filling your own cup by getting into a creative space. For some time now I have taught crafts. At the moment I have a monthly class held at the truly creative space that is Andrea Rossi’s art studio in Spiddal. I pack my car and creations early on a Saturday morning and then travel down to ‘teach’ the class. Inevitably I leave something behind (there is a lot to remember). Some of the regular participants have said they don’t mind what they do, it is the day out that they enjoy. That it doesn’t matter if I have left something behind, we can make a plan. This really got me thinking about the creative process. I was then reading the Psychologies magazine and came across a reference to creativity, where the author referred to the process. I have hunted back and cannot find the reference, but the message stayed with me. It is about the time we spend in the process from coming up with a concept and teasing it out. Breaking a blank page, or turning on the oven for a cake that will be eaten with delight, no matter what your form of creativity is, the most important thing is to embrace and enjoy it. As I approach Christmas this year, I know that I will have new watercolours and other creative goodies on my list. Bits and pieces really – items that will inspire me and allow me to get into flow and be creative. I will fill my cup and be ready to pour. « Life is Fragile, and we need to treasure it. I love gathering ideas soemtimes more than the actual “making or doing”. Lovely post. I should ask Santa for one!